Béarnaise sauce is great. It can be made without a lot of fuss as you see here. 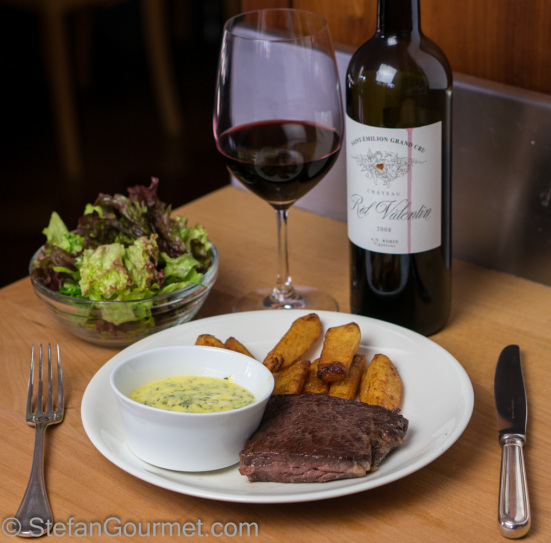 Béarnaise is one of the classic sauces from French cuisine and it is great with steak. The traditional way of preparing it au bain marie requires quite a bit of skill, as the sauces curdles easily. It also requires you to make clarified butter first. 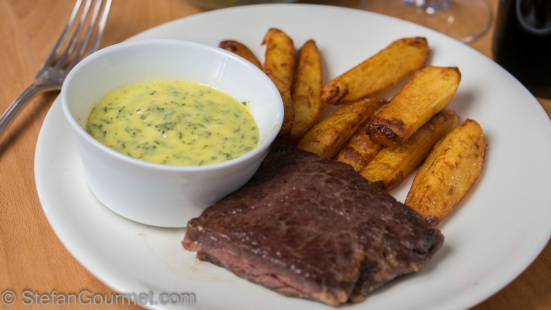 And even though you should make clarified butter to cook the steak anyway, using a slightly different technique you can make sauce béarnaise easily with minimal risk of curdling. Last night’s dinner: a nice juicy steak cooked sous-vide and then seared quickly in very hot clarified butter, hand cut fries, sauce béarnaise, a green salad, and a nice glass of Saint-Émilion Grand Cru.